Camp Patras Archive (CAPA) is a project that its goal is to collect, archive, present and distribute visual material about the history of a 12 years settlement for illegal immigrants. 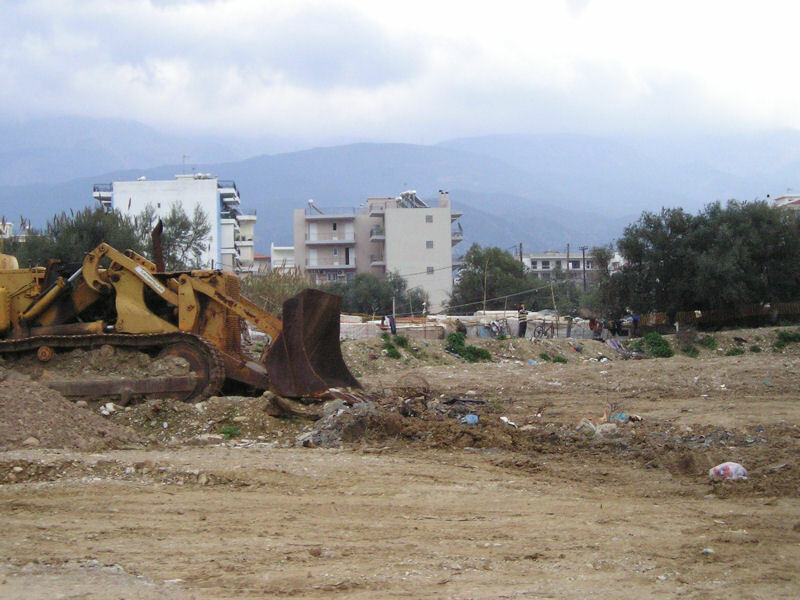 The settlement was created in the city of Patras back in the ’90s and destroyed in July 2009. This archive is not official. It is generated within the broad frame of art. However, its function and output can hopefully transform it’s initial nature and succeed as a platform for communication and engagement with the social, political, humanitarian and the other issues that subject raises. The objective of the project is to create an archive out of the visual material that already exists but it’s scattered and inactive within the Patra’s society. The CAPA Archive will be solely consist of photographic and audiovisual footage that will collect and/or receive from diverse sources and from the internet. The web site of the project is linked to several external web-sites or news sites that refer to the settlement one way or another and manage to give a greater insight to the whole. The mechanism put in place is to get Patra’s community, its people, organizations and administrations involved. The project asks them to contribute with images, found footage, personal archives and other material related to the period of 12 years that the camp have existed in the city. 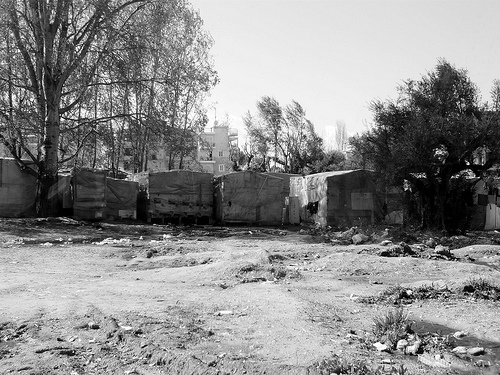 The material can be about anything from the daily life in the camp, its improvised architecture, as well its relation to the city and the people that used to surround it. The archive would be divided in to two general thematic categories. The first has to do with the structure and the nature of the settlement itself. It has to do with the categorization, registration, classification of the micro-political and micro-social atmosphere within the settlement. And although it was just a temporary, semi autonomous, semi efficient, hand made shanty town, within the town of Patras, it was at the same time a structured, self organized community with it’s own unwritten laws and politics. The second, deals with the local community of Patras and its institutions, in relation to this community of the ‘undocumented’ immigrants who live in the settlement. A very stark division is drawn by these two opposite social structures highlighted by a series of contradictions among others the private and the public, the spectacle and the spectator, the inclusion and exclusion, the legal and the illegal, the native and the foreign. The goal is to collect images, photographs and other visual material, from all the different sides of the social grid and then evaluate them accordingly. The archiving it will be based on the origin of each photograph, the subject and finally its anthropological attributes. A part of this new archive will be presented for the first time in the project-publication Archive-Public and strives to continue its development as a platform throughout the web site of the Archive-Public project. The settlement Camp – Patras was located in the eastern part of the city, three kilometres from the port of Patras. It was originally built by Iraqi Kurds outside the city on the same site, yet the city itself had grown towards the outskirts to include the settlement area, while the settlement itself has also grown enormously after the NATO campaigns in Iraq and Afghanistan. After that more than 95 percent of the people originated from Afghanistan. Initially, the Afghanis used the settlement mainly as a temporary stopover before travelling to Italy. Yet after the Dublin treaty, those who manage to reach an Italian port are returned to Patras by the Italian police. They were trying to go on from there to Italy by hiding in trucks and get on the ferries. And then they were trying to go on from Italy to France — to Calais, where there is another dramatic situation with hundreds of migrants hiding in the bushes and trying to get on another truck for another ferry into Britain. The refugees set up their lodging with bits of scrap, tin and plastic. There was practically no hygiene and they were deprived of the right to a water supply, electricity or even proper toilets. 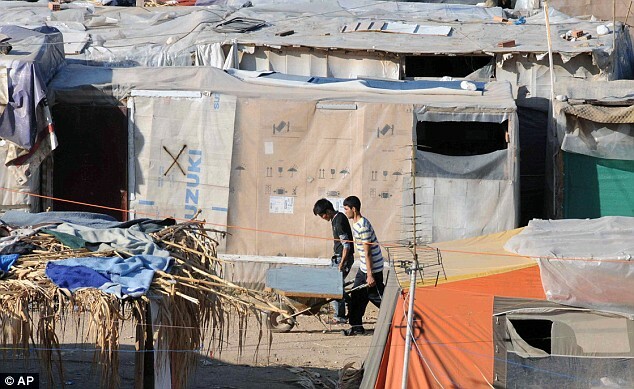 The estimates were about 1,200 to 1,500 living in the camp in 2009 just before it was destroyed. Exact numbers are difficult to ascertain since the population was constantly moving. Some people have stayed in Patras for years, while others move out in days. 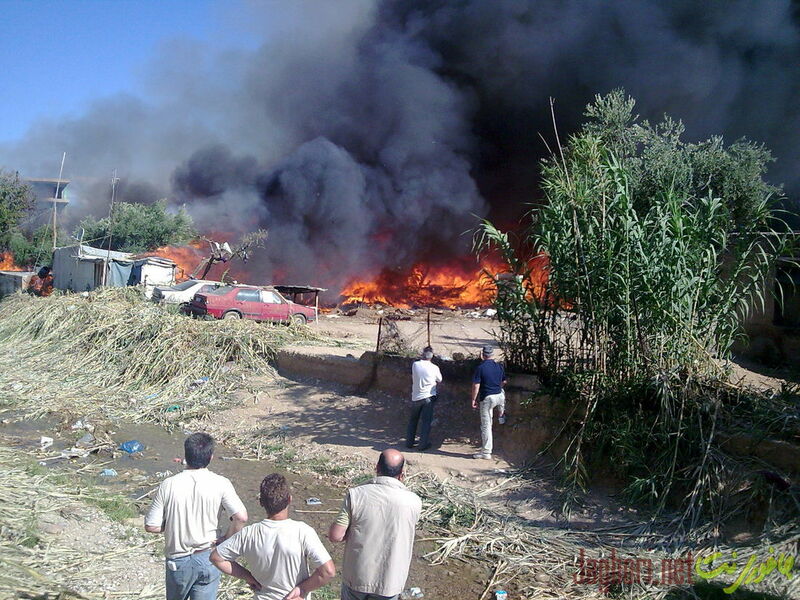 On Jan. 21 2009 a fire was reported in the settlement. Some nearby residents were heard shouting, ’Let them burn’, and tried to block the fire brigade from extinguishing the flames. Others were seen spitting on the refugees from their balconies. A third of the slum, was destroyed, leaving 500 people without a roof. On 11 july 2009 a day before the demolition, the police authorities came to the camp and announced the demolition and gave everybody a chance to leave. The group of people who didn’t want to apply for asylum disappeared. They have spread out across Greece. Many of them went to Athens because they knew people there. And there is a small group still in Patras living in the fields. On 12th July 2009 police cleared the camp. Bulldozers moved in around dawn to clear makeshift structures and rubbish that had been piling up in the camp in the western port city of Patras. After all the residents were evacuated a fire swept through the camp and by the afternoon the area had been completely cleared. The source of the blaze is unknown. Police said they arrested several dozen illegal immigrants. Those who had valid papers were taken to local hotels and 44 underage migrants were sent to a camp near the border with Albania. ‘The illegal immigrants will be dispersed in camps around Greece pending deportation,’ a Patras police spokesman said. Left-wing parties denounced the ‘military-style’ operation and the ‘barbaric’ conduct of the police, although there were no confirmed reports of police violence. In the centre of Stefanos Tsivopoulos’ artistic practice is the research, collection and analysis of archive photos, newsreels, film archives and other historically related imagery that constitute part of our collective memory. These documents are taken out of their historical context and used in his work in a reverse mode instead of serving their purpose they are deployed to tell a new story. By questioning the axiomatic value of a document, Stefanos Tsivopoulos is at the same time stating that we are strongly appealed by the document as it is. He is exposing the aura of photographic document in front of us while revealing his own suspicion in it’s power to prove validity. He managed to show the paradox of the document and it’s inherent contradictions without using the witness, but rather the document itself as subject. In the core of this research exists the following assumption that: It is the way a story is been told rather the story itself. The origin of the story as a true or a not true event comes second to the image’s ability to create genuine emotions and overlook facts.So archives are not necessarily serving as ‘representatives’ of the Historical truth rather are just another way to tell a story.